We are people who have been reached with the gospel. It informs, shapes, and sustains our worship. Because we know that the breath of God hung the foundation of the earth, and that man was fashioned in his image, we worship the Creator God. Since we know of the fall of our parents in the garden and how God made a covenant to rescue them, we worship the God of mercy. We read of the care God has for his people throughout the Old Testament, and we worship the God whose love is steadfast. We read of the life, death, resurrection, and return of Christ, so we worship the God who rescues. We worship God because someone taught us who He is and what He has done. But the glories we have seen, many have never seen. The God we have come to know and love, many have never heard. And He is worthy of their worship. Worship propels the people of God into the world with the glories of the gospel. Worship sends us beyond the walls of our churches and even beyond the comforts of our city into places where Christ is not known. 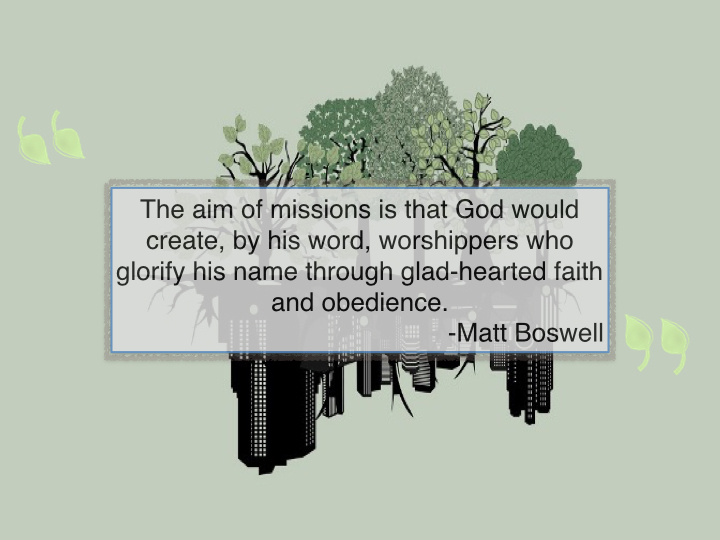 The aim of missions is that God would create, by His word, worshippers who glorify His name through glad-hearted faith and obedience. 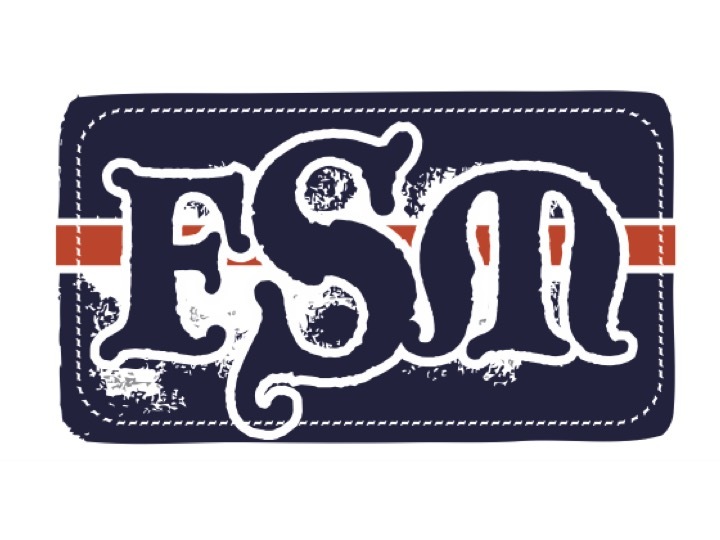 The prayer of the worship leader is that all of the peoples of the earth would worship God. We lead in song, prayer, and confessions all with the aim that God would be beautiful in the eyes of men, women, and children from every nation, tribe, and tongue. We also carry a burden for people who do not worship God. As the people who worship God, our desire is that everyone would place their deepest hope and highest joys in the God of our salvation. Part of what we are doing in leading worship is bidding the nations to come and see, savor, and sing of the God we love. As we gather in our churches each week, may we pray and go, and send to the nations that those who have never heard of Jesus may be told the story of our God who rescues. 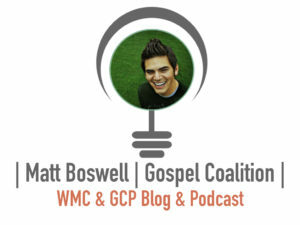 Matt Boswell is a pastor at Providence Church, Frisco, Texas and editor of The Gospel Coalition Worship . He hosts the Doxology & Theology Conference, a biennial conference focused on corporate worship.